Flashlights are not a product with rocket science technology. However, real good flashlights would set us back quite a bit, especially the super bright ones. 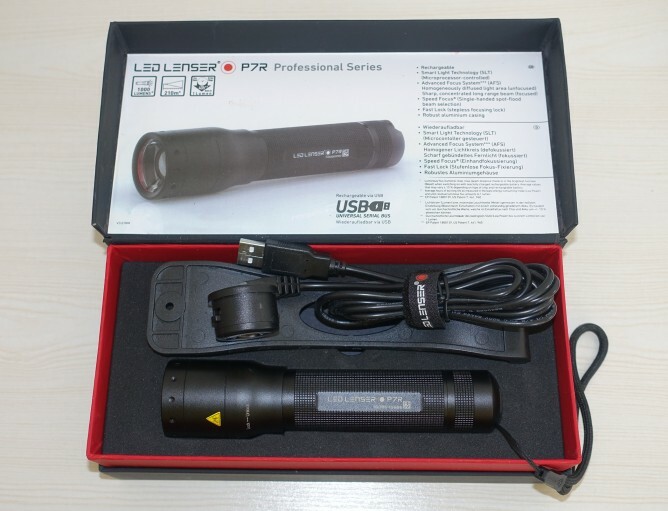 In the search of the brightest compact flashlight, I came across LED Lenser P7R with up to 1000 lumens luminosity and rechargeable battery. The purchase decision was quite straightforward, mostly because I had a few LED Lenser products already and generally quite happy with those. LED Lenser P7R is rated to produce very bright light of 1000 maximum luminosity to a maximum distance of 210 metres. User can choose between Power, Mid Power and Low Power mode, which will affect brightness, distance and the battery power. At maximum settings, its fully charged ICR 18650 Li-ion battery will survive up to 2 hours. That’s not a very long time, but maximum 1000 lumens brightness is not something we need all the time anyway. In the lowest setting, one full charge is good for 40 hours of continuous use. I like the fact that P7R feels very solid, yet not too heavy (210 gr). It is a quality product worthy of LED Lenser good reputation, assuming you manage to get a genuine product in the middle of so many counterfeits in the market. So how bright this thing really is? At night, in a closed room with no other source of light, turning on this flashlight at power mode will make the room as bright as using normal ceiling light. Quite impressive for a flashlight this size. Even though technically we can recharge 18650 Li-ion battery using other tools, P7R comes with built-in charger. The charger is magnetic-based and we simply attach it to the power switch button, which doubles as charging connector. Clever design, in opinion, but it leaves me with yet another proprietary charging cable. Plus the cable is quite bulky thanks to it’s magnetic end. I am quite happy with this purchase. Solid product that does exactly what it promises to be.